1. 21 23.3 18.7 27.9 9.5 ? 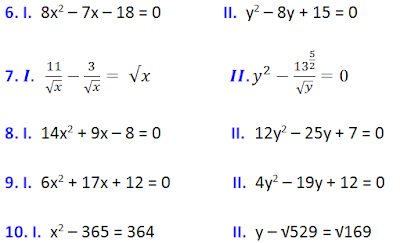 Directions (6 – 10): In each of these questions, two equations (I) and (II) are given. You have to solve both the equations and give answer.